As far as culinary experiences go, I’ve peaked. Reached the summit. The only way from here is down. I might as well never eat sushi again. Because after Jiro, everything is just…not Jiro. 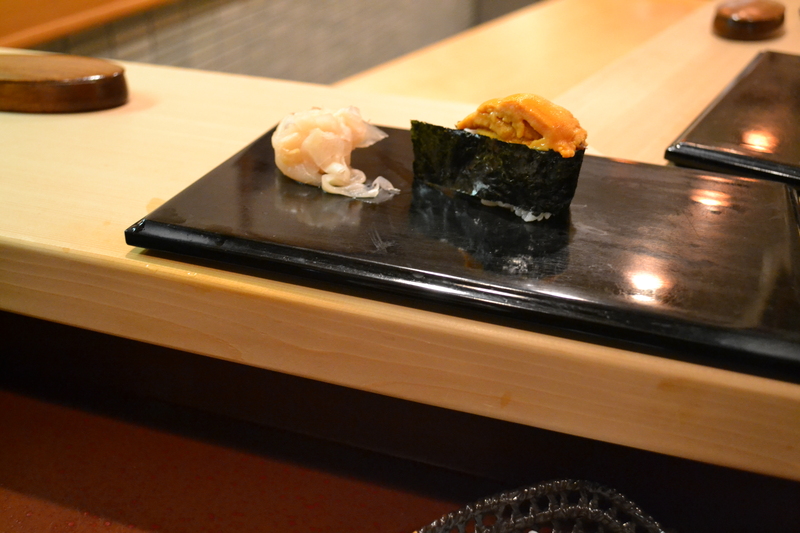 BACKTRACKING – we are sushi lovers (is their a stronger term than lovers? ‘Almost hysterical revellers’? You get the point). 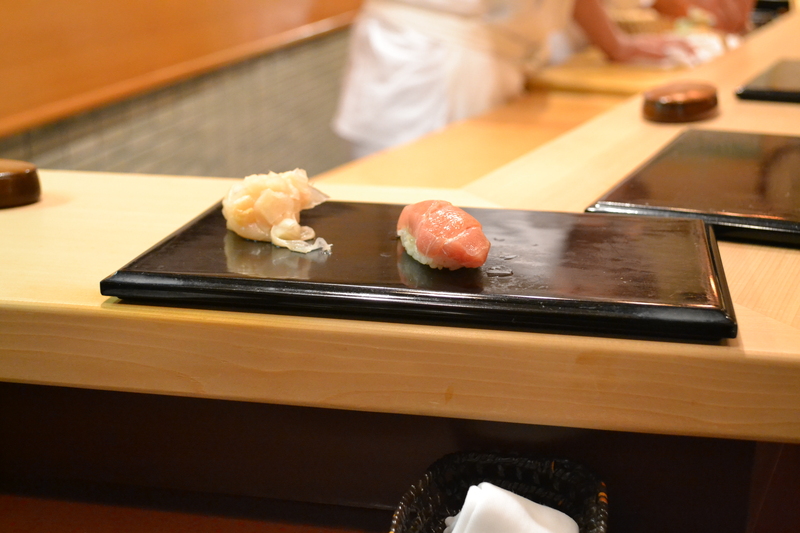 So when we booked our trip to Tokyo, Mike insisted that paying rent wasn’t important, and that we needed to get our sticky soy fingers on a reservation at Sukiyabashi Jiro, of Jiro Dreams of Sushi fame. I am not one to argue. Generally you need to book weeks, if not months, in advance, and through a hotel concierge or someone who is Japanese. In a crazy turn of events, a reservation opened up a couple weeks before our trip, so we were IN, solidifying our concierge’s place on the Christmas card list for the next 50 years. In much of what we had read, some people who visit Jiro’s restaurant are almost stressed out in advance of the experience, so we were a little antsy. Would we be able to find the restaurant, apparently camouflaged in a random hall of the metro station and the source of anxiety for many previous visitors? Would we get full halfway through and disrespect the master? Would Jiro judge me as an amateur if my rice fell apart? The answer, in short, was yes, no and no. After a tip from CNN’s Jiro review, we took exit 6 out of Ginza station, and instead of turning left up the stairs to the street, you go straight through the unobtrusive glass doors in front of you and then take a left. Once settled in your stool around the counter, your only job is to watch and eat. Jiro, his son Yoshikazu and their apprentices have the system down pat; the menu is fixed, mainly pieces of nigiri, so the whole thing takes under half an hour. But it is a glorious half an hour, filled with the most succulent, delightful, melt-in-your-mouth sushi you will have ever tasted. There’s no way to describe it other than to say we’ve just never tasted anything as brilliant as this. Not having the largest stomach, I was genuinely worried I wouldn’t be able to get through the entire meal – but trust me, it is designed to perfection, and you’ll feel wonderful afterwards (and even have enough room for dessert – fresh honeydew melon). Finally, Jiro is not judging your eating habits, and rice falls apart all the time. He is busy doing what he loves: handling your sushi with care. 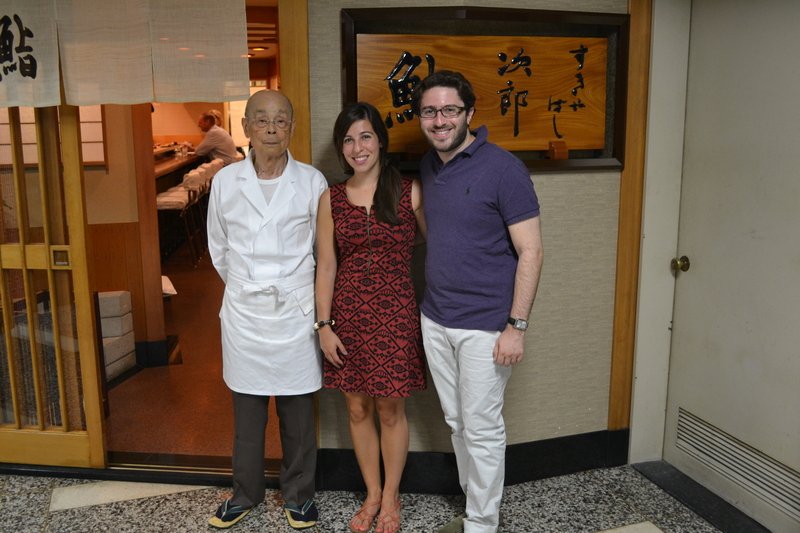 The entire staff was as friendly as could be – my only wish was to be able to speak Japanese and/or hug Jiro. We settled for a picture, and then Jiro and Yoshikazu stood outside the restaurant waving until we had turned the corner. It was only then that we dissolved in squeals (and tears, because really, London sushi ain’t gonna cut it after that). 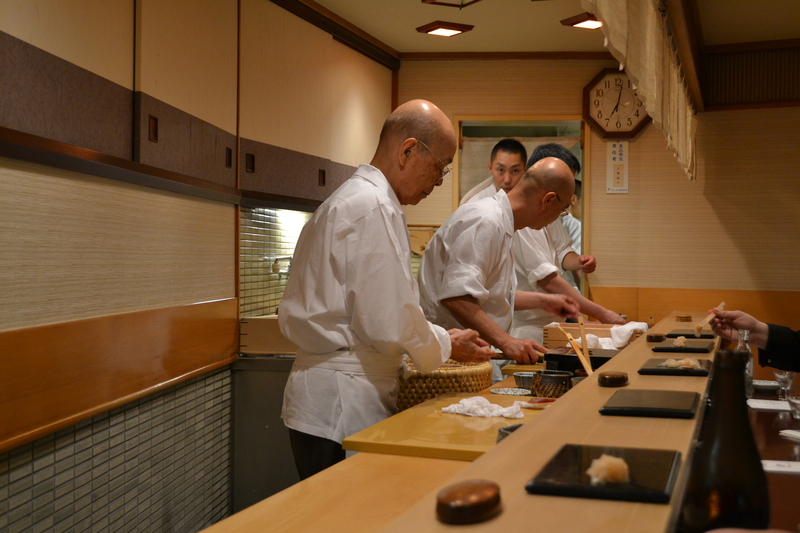 This entry was posted in Uncategorized and tagged foodies, Japan, restaurant, RTW, Sukiyabashi Jiro, sushi, Tokyo, tourism, travel on September 1, 2013 by CatherineTs.